If you are planning a kitchen renovation, you already know that the beauty, functionality and convenience of your new kitchen will depend largely upon your choice of kitchen cabinets. Cabinets can make or break a kitchen remodel. When it comes to kitchen cabinets, you have a choice of pre-fabricated cabinets, semi-custom or custom-built cabinets. Pre-fabricated cabinets (sometimes called stock cabinets) are pre-manufactured and typically come in standard dimensions with no customization options. Like pre-fab stock cabinets, semi-custom cabinets are also factory-made and come in standard sizes, but you have more options to choose from, including pantry units, sliding shelves and a variety of kitchen cabinet accessories. 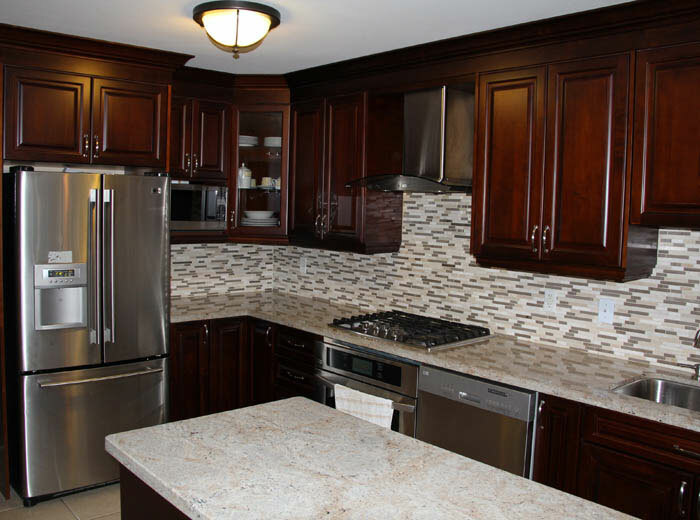 Custom kitchen cabinets gives you the most options and flexibility. They are built to your specifications, and every aspect of the cabinets can be customized to fit your space perfectly based on your style preferences. 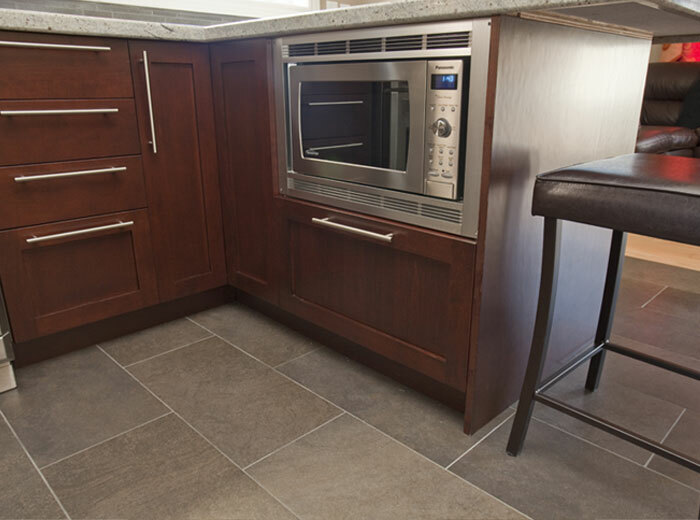 A custom cabinet builder can design and implement features to suit your unique cooking and lifestyle needs. You can choose to have that baking station, complete with heavy-duty pop-up mixer stand, built-in flour sifter, bins, specialized drawers and spice racks, or the glass cabinets you've always wanted to showcase your china. Custom cabinets gives you the flexibility to add corner cabinets, glass doors or built-in appliances to fit your kitchen perfectly. A custom cabinet builder can adjust the height of upper cabinets as well as countertops to suit you perfectly, saving you years of aggravation dealing with counters that are too high or low for comfort and stretching for items that are beyond your reach. You can also choose to have corner cabinets, diagonal upper cabinets, wine racks, matching kitchen island and standalone shelving to create the kitchen of your dreams. With custom kitchen cabinets, you can make every inch of your kitchen into usable space, and add as much storage space as you need. 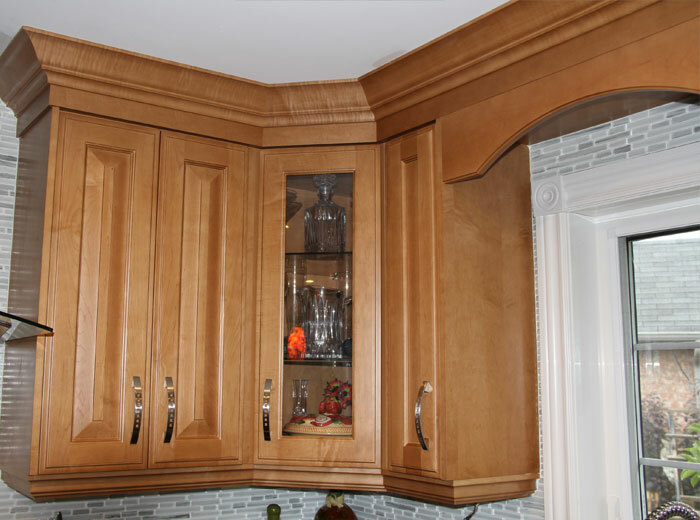 From a design perspective, a custom cabinet builder will work with your style preferences, such as adding matching crown molding and decorative valances, to make your kitchen as traditional or modern as you want. By improving the appearance of your home, you are also increasing the value of your property. Because custom kitchen cabinets are built by skilled cabinet makers using high quality materials, they are generally built to last longer than pre-fab cabinets. Custom cabinets do come in a variety of materials, including solid wood and MDF (medium-density fibreboard), so homeowners can have all the benefits of custom cabinets within a price range that is affordable for many. Click here find out how much custom kitchen cabinets cost in the Toronto area. There are truly many benefits to custom kitchen cabinets. And while they are more expensive than pre-fabricated ones, when it comes to functionality and beauty, custom kitchen cabinets are definitely worth the extra cost.